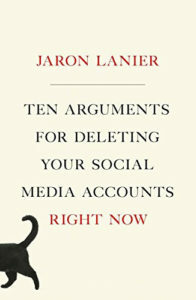 Jaron Lanier is an early Internet pioneer, computer scientist, visual artist, musician, and author of Ten Arguments for Deleting Your Social Media Accounts Right Now. The real cost of the “everything is free” mentality that accompanied the cultural proliferation of the Internet and social media. How social media manipulates human behavior to threaten free will. Why negative emotions are the lifeblood of social media. How social media contributes to the mass production of misinformation. Why feeding on social media content tailored to you makes it difficult to empathize with the perspective of others. On the surface, social media exists to keep human beings connected. But at its core, its business model relies on surveilling, analyzing, and manipulating your behavior in order to more effectively sell you things. It also deprives you of your economic dignity, hampers the democratic process, and even undermines your experience of humanity. 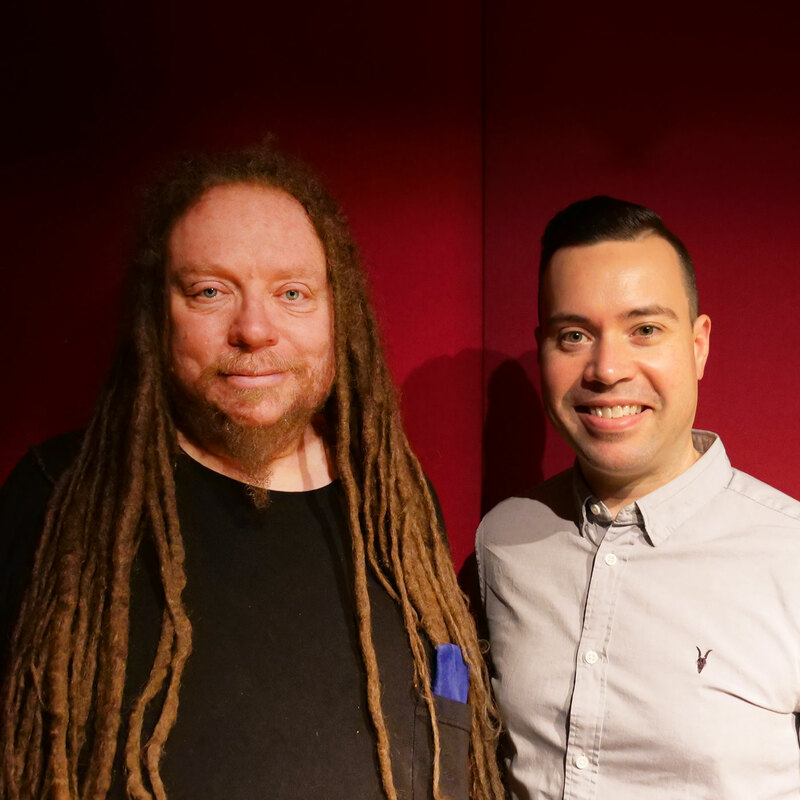 In this episode Jaron Lanier, author of Ten Arguments for Deleting Your Social Media Accounts Right Now, the man who coined the term “virtual reality,” and one of the architects of the early and not-so-early Internet, dissects how social media companies curate and essentially control what we see, think, and feel. Listen, learn, and enjoy! If you’re only going to take one gluten and dairy-free, keto, paleo, and vegan-friendly supplement to boost energy, balance nutrition, and aid digestion, then Athletic Greens — with its 76 natural ingredients — is what we recommend. The Jordan Harbinger Show listeners get 23 travel packs (valued at $79) with their first purchase at athleticgreens.com/jordan! Looking to score last-minute hotel deals? HotelTonight has access to unsold inventory from the world’s greatest accommodations at a fraction of regular rates. Hit hoteltonight.com and use code JORDANH at checkout for $25 off your first booking! The One You Feed is a podcast by Eric Zimmer and Chris Forbes that hosts inspiring conversations about creating a life worth living. Check it out here! While he experienced bouts of living off the grid throughout childhood, Ten Arguments for Deleting Your Social Media Accounts Right Now author Jaron Lanier is anything but a Luddite. He was an early Internet pioneer who coined the phrase “virtual reality,” and he was creating video games when the Commodore 64 was the most sophisticated and portable computer consumer dollars could buy. But his presence is notably absent from the ubiquitous social media outlets most of us take for granted these days, and it’s by design. “I don’t think social media in some broad sense is necessarily bad,” says Jaron. “I don’t think it has to be bad forever. I think that there’s this business model that makes it bad…it’s been taken over by this advertising paradigm. And what that means is any time two people connect, it’s financed by some third person who wants to manipulate those people — because that’s the only way anyone makes money — the whole system becomes optimized for addiction, manipulation, sneakiness, and trickiness. But Jaron also believes it doesn’t have to be this way, and cites software developer community GitHub as an example of social media being done right. Jaron also mentions the podcast as another Internet construct that contributes to “the good work of civilization,” but we might be biased in our agreement with him in this case. Listen to this episode in its entirety to learn more about the real cost of the “everything is free” mentality the Internet fosters, the dangers of being immersed in your own social media bubble, how information curation by algorithm severs connections rather than builds them, why social media exposure may be counterintuitively shrinking your capacity for empathy rather than helping it thrive, why negative emotions are the lifeblood of social media, how social media contributes to the mass production of misinformation, why even good intentions can be twisted and exploited by an uncaring algorithm to generate oppositional emotional responses and behavioral patterns, the bright side Jaron sees in this entire mess, and much more.